Registration is now open for fall classes hosted by the La Mesa Community Services Department. Programs for children include academic enrichment, archery, babysitter training, dance, fencing, gymnastics, martial arts, swim and tennis. Programs for adults include ballet, boot camp, dog obedience, Hawaiian/Tahitian dance, Pilates, tennis and yoga. Find more information and register online at cityoflamesa.com/classes, or call the Community Services Department at 619-667-1300. La Mesa’s Youth Advisory Commission has several openings for teenagers who live within the city limits. Members of the commission work with fellow middle- and high-school students to explore and develop activities for youth. Commission members also gain volunteer experience that can count toward school-required community service hours. The commission meets the second and fourth Mondays of every month at 4:30 p.m. in the La Mesa Community Center at 4975 Memorial Drive. Applications are due to the City Clerk no later than 5:30 p.m. on Friday, Sept. 4. Interviews will be held Sept. 22. To download an application, go to tiny.cc/LMYC or visit City Hall in person at 8130 Allison Ave. during normal business hours. Call the City Clerk at 619-667-1120 for more information. The La Mesa Chamber of Commerce has announced the name of its new October event: FallFest. The event will be held Oct. 16 and 17 at Grossmont Center, in the outdoor area near Macy’s and Hooley’s Irish Pub. Organizers have booked singer-songwriter Brent Payne as the headline performer for Saturday, Oct. 17 from 7 to 11 p.m. Payne has released seven albums and won Best Country Song of the Year at the 2012 Hollywood Music Awards for his single, “Now & Forever.” Visit LaMesaChamber.com for more information. 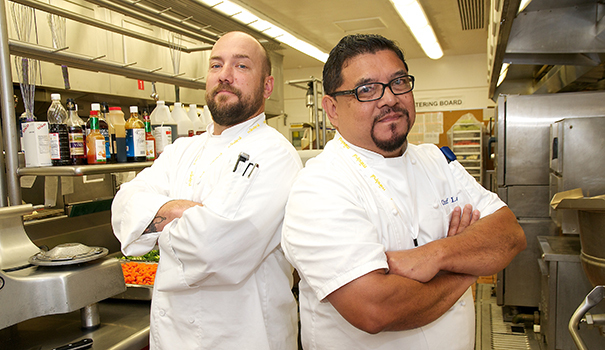 Two well-known chefs in the San Diego culinary world have joined the team at Sharp Grossmont Hospital in La Mesa. Chef Larry Banares, known for hosting cooking shows and segments on KGTV and multiple cable channels, will be executive chef in charge of meal service for the hospital’s inpatient units. Banares’ resume includes a stint as executive chef at Rady Children’s Hospital as well as the Disneyland Hotel and The Queen Mary. Chef William Sauer will be executive chef in charge of the hospital’s retail dining operations, including the café and catering services. Sauer’s experience includes a stint as executive chef at The Great Oak Steakhouse at Pechanga in Temecula. Sauer has also led the kitchens at the Marble Room in San Diego, Delicias Restaurant in Rancho Santa Fe. La Mesa resident Timothy Earl, a shareholder in the Sullivan Hill Lewin Rez & Engel law firm, was named a Top Attorney in the insurance coverage category by the San Diego Daily Transcript. 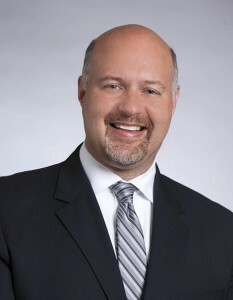 Earl leads the firm’s Insurance Coverage Practice Group, which represents both policyholders and insurance companies in coverage disputes primarily involving property damage or bodily injury arising out of construction defect and asbestos claims. The Daily Transcript’s awards are based on votes from peers in the private, corporate, academic and government fields of law. 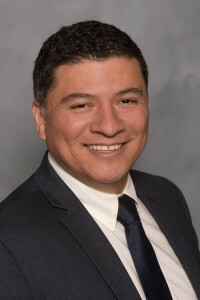 Javier Ayala, also known as Dr. J, has joined Grossmont College as the new dean of career and technical education and workforce development. In his new role, Ayala oversees 63 vocational departments and programs in the skilled trades and applied sciences, including programs such as business administration, child development, culinary arts and health and workforce initiatives. “The district has been leading conversations statewide about [career technical education] and workforce development, and I aim to contribute to that leadership,” Ayala said. “We have a rich diversity of students, business and industry, and our programs need to continuously respond to diverse needs.” Ayala has previous experience in leadership roles at Monroe Community College in Rochester, New York; Umpqua Community College in Roseburg, Oregon; Clatsop Community College in Astoria, Oregon; and Portland State University in Portland, Oregon.